When some fuel dealers hear the word “tank monitors” they get excited, some about improved delivery efficiency, increased profits, and more. While for others, it makes their heads spin wondering how they could successfully implement that sort of technology into their company. With a growing number of monitor options on the market today, and so many factors to consider, (including communication type, fuel type, technology, price, support, customer app, etc.) it’s likely you could use some help figuring out what the best solution is for your situation. That’s why we’ve scheduled a LIVE webinar featuring one of our tank monitoring experts. Register for the webinar, submit your questions, and we’ll answer them for you on the webinar. What kind of alerts will I get with tank monitors? How do I decide which accounts to put tank monitors on? What type of support do I get after I purchase monitors? How much do tank monitors cost? These only scratch the surface of questions we’ve heard over the years. 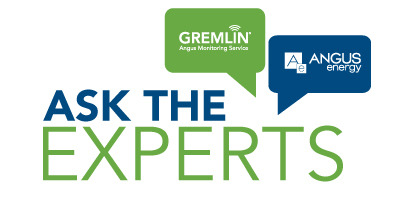 If you have questions about tank monitors, join our industry veteran David Montgomery, who has been in the industry for over 26 years, on April 18th and 2:00pm and finally get the answer your question.